Garlic is use to treat a wide variety of conditions, from hypertension to diabetes. Because it has strong antioxidant properties, it is has been utilized in the treatment of cancer and other inflammatory diseases. It is not surprising that there are laboratory-based studies showing that garlic may also help protect the kidneys. It seems to be able to reduce the levels of lead and other heavy metals in the body, as well. Garlic comes in many forms, including tablets, a powdered form and the bulb itself. In kidney disease, the optimal dose of garlic is not yet known. Some studies suggest that high doses can worsen the function of the kidneys and other organs. It is the lower doses that seem to have the antioxidant effect. I would suggest starting with the garlic extract tablets at a low dose of 100 to 200 mg daily. Given the overabundance of toxins and heavy metals in the water, garlic may offer an additional protective effect on the kidneys by reducing the concentration of lead and other heavy metals in them. This needs to be studied more, but I would support a low daily dose of garlic. There are two types of ginseng: American and Asian. The Asian form is more processed and is preferred by consumers. 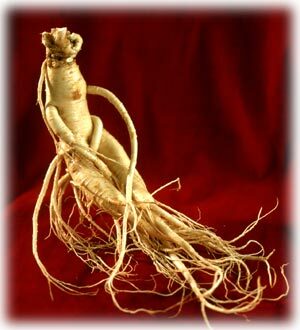 Ginseng is used to treat a number of conditions, including diabetes and fluid retention. There are several laboratory-based studies showing that ginseng may also have a protective effect on the kidneys. Additionally, heat processed ginseng seems to have a protective effect in diabetic nephropathy. It may have antioxidant properties as well, but more study is needed. Ginseng can be given in several forms, including capsules and tea bags. The optimal dose in kidney disease is not yet known. Some herbalists recommend 0.4 to 0.5 g once or twice daily. However, because large doses can be toxic to the body and interact with many medications used for diabetes and certain antidepressants, I would suggest starting with the lowest possible dose of 100 mg daily, and slowly increasing from there. Given the potential for many significant drug interactions, I would talk with your doctor before starting this herbal supplement. Goldenrod has many uses, including treatment of certain types of kidney stones, fluid retention, and inflammatory processes in the kidneys. The optimal dosage is not known in kidney disease, and I would not recommend using this supplement in kidney disease until further studies are done. Green tea is a potent antioxidant and has been to treat many health problems from arthritis to cancer. A laboratory-based study suggests that it may also decrease the level of inflammation in people who have hypertension and diabetes, although further testing is needed. Green tea is relatively safe and comes as either a tea bag or in capsule form. If you have high blood pressure, be aware that there is caffeine in green tea. Because caffeine has diuretic properties, be careful if you are on a prescribed diuretic. Hawthorn is very effective at treating both high blood pressure and congestive heart failure. It comes in many forms, but the easiest way to dose is to take capsules, usually 250 to 500 mg, twice daily to start. There is not any dosage changes required in kidney disease, but monitor your blood pressure closely if you are on this medication. Juniper has been used to treat various ailments, including high blood pressure and arthritis. However, if you have kidney disease, do not take this herb. It can worsen kidney function. Licorice is used to treat stomach problems, ulcers, and many other ailments. Side effects can include raised blood pressure, edema, and a lowering of potassium. An optimal dose in kidney disease has not yet been established. If you have CKD, I would definitely avoid taking this supplement. To find out more, you can check out Herbs For Kidney Disease.